When we had t-shirts made for our family, immediately people started asking "Where can I buy one?!?" Thanks for your support and encouragement! We truly appreciate it. 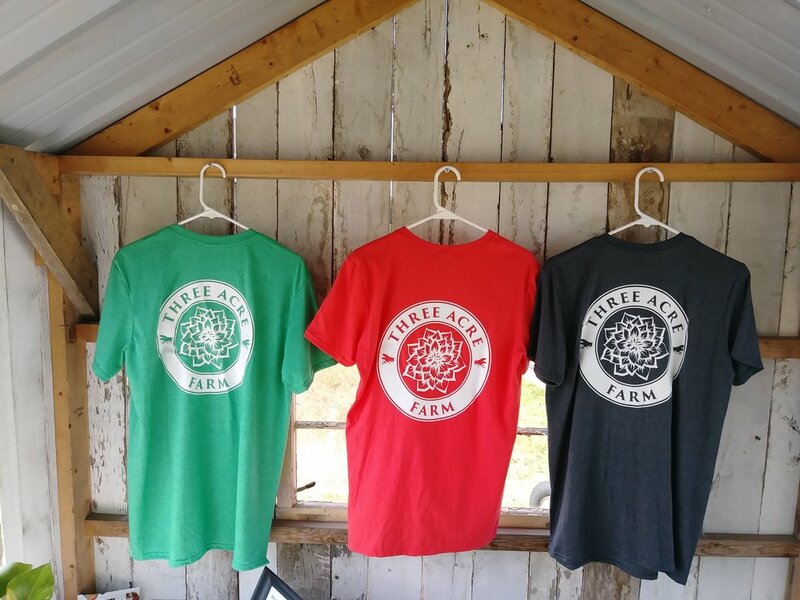 We think you will love your Three Acre Farm t-shirt as much as we do. The shirts are soft, comfortable, long enough to keep things covered up in the back... and sure to be one of your favorites. 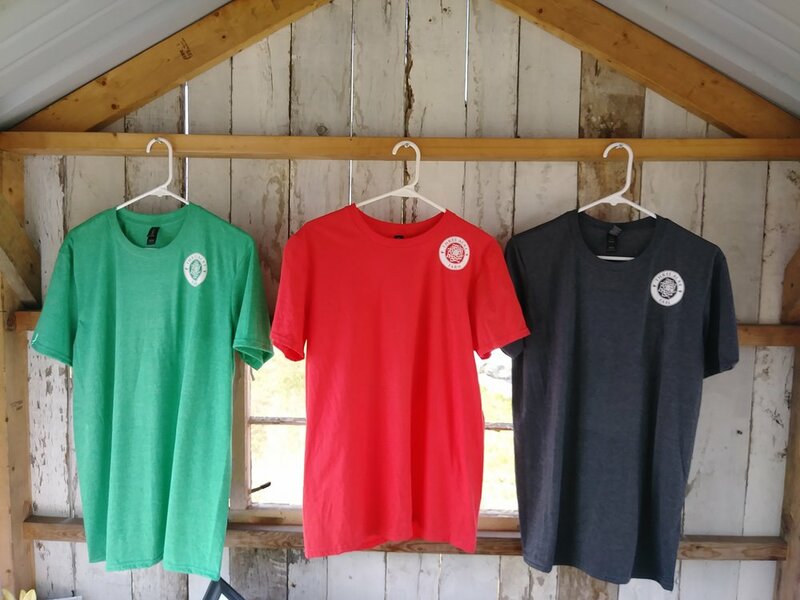 We've partnered with Danielle of Saving Grace Designs LLC, right here in West Michigan, to create these awesome shirts for our "farm fans". If you are looking for custom t-shirts for your family, small organization or small business, be sure to check her out! We love supporting other female entrepreneurs in our area. Scroll down for sizing and fit.